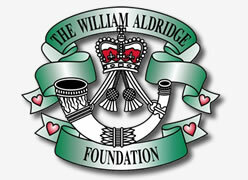 Welcome to the William Aldridge Foundation “Forces Friends” Directory. Our aim is to promote the many existing, well-established ‘Forces’ charities/organisations/associations and unit welfare funds. Raising awareness of their existence in support of the invaluable lifeline they offer. Hopefully, making, available assistance and advice easily accessible to the wider ‘Military’ community and their dependants. We have identified four core categories of support for Serving Armed Forces, Veterans, Injured Service Personnel & Bereaved Military Families. By simply clicking on the relevant category you will find a wealth of information, including a brief description and a direct ‘web-link’ for each listed organisation.